Rosario Ponzio: Beating the Drums in Italy While Beating the Odds in L.A.
Home/Hall Of Fame/Rosario Ponzio: Beating the Drums in Italy While Beating the Odds in L.A.
Rosario Ponzio epitomizes the golden era of Italian television — the period between 1979 and 1989 when Silvio Berlusconi’s private TV channels dominated the Italian and international markets and when publicaster RAI had executives of the caliber of Carlo Fuscagni (RAI-1), Giampaolo Sodano (RAI-2), and Giuseppe Rossini (RAI-3) running the TV channels. It was also a time when Berlusconi could count on the talents of Carlo Freccero, Roberto Giovalli, and Giorgio Gori to helm his TV channels. And a time when RAI/ITC co-productions dominated ratings charts in the U.S. with such mini-series as NBC’s Jesus of Nazareth (1977). The Lorimar/RAI co-production Christopher Columbus saw similar success when it aired on CBS in 1985. It was also a time when Renato Pachetti ran RAI Corp. in New York City, Los Angeles, Toronto, and Montevideo, Uruguay — heading a U.S. operation larger than that of the BBC — and managed to have 10 major RAI miniseries co-productions broadcast on every U.S. TV network. Ponzio, who started in the entertainment business at an early age, worked in every aspect of television, including the music side and the production and distribution side (with Lew Grade’s ITC). He also started his own independent distribution company (WTA), and worked for Lorimar and Warner Bros.
Ponzio’s career flourished when Berlusconi first launched private television networks in Italy (and in Europe) in the late 1970s, but it also encountered a stumbling block when Berlusconi became Italy’s Prime Minister for the second time in 2001, and his major clients — the previously competing RAI and Mediaset — began being referred to as Raiset. Ponzio retired from the television business in 2008. Just three years later RAI Corp. closed its doors, in effect declaring the end of what was left of the golden era of Italian television. Ponzio explained that it was while he was playing drums for that band that he began working for a music publisher whose function was primarily to collect copyright fees on behalf of foreign record labels. In 1965, he attended his first trade show, MIDEM, which focused on music rights. His first TV market was MIP-TV in 1974. The publishing company where Ponzio worked also represented Italian pop singer Little Tony, whose independent PR agent was Francesco De Crescenzo, a gregarious and flamboyant character. During a visit to London in 1971, De Crescenzo had the fortune to meet Lew Grade, who ran ITC and was once considered one of the U.K.’s most celebrated film and TV producers. At that time ITC was co-financing two six-hour miniseries with RAI, Moses The Lawgiver and Jesus of Nazareth. Both were produced by the recently deceased Vincenzo Labella. ITC Italiana was then the only Italian office of a foreign TV company. It wasn’t until the early 1980s that some U.S. TV companies, such as Dutch-owned PolyGram (with Italo Tinari), Worldvision (with Martin Kiwe), and Columbia (with Jimmy Manca) opened their own offices in Rome. Today, CBS, Disney, Fox, Sony Pictures, Warner Bros., Viacom, and Discovery all maintain Italian offices for TV sales (although, NBCUniversal does not). Labella, who died last July, was then one of Italy’s most prolific TV producers and yet very little about him is available today — neither in print nor online. A very short German-language Wikipedia entry gave 1937 as his birth date, although he was actually born in 1925. An Italian TV old-timer reported that Labella, De Crescenzo, and RAI’s Ettore Bernabei were well connected with the Vatican, but because De Crescenzo was a controversial personality (who was also described as being of a litigious nature), people interviewed for this article would not go on the record about him. However, according to Ponzio, the true Vatican insider was Labella, not De Crescenzo. De Crescenzo, who died two years ago at age 83, was a larger-than-life personality, and was also known for his impressive art collection. Richard Milnes, who at that time was at ITC in London (before going to WB), recalled that, “De Crescenzo was also a good-looking guy.” This was also confirmed by Roberta Cadringher (a representative of RAI’s Carlo Fuscagni), who added that De Crescenzo tended to be arrogant and a troublemaker. Reportedly, his wife (who he met when she was a receptionist at RAI and who left her first husband to marry him) and their only daughter refused to visit him when he was on his deathbed. Today, there is no written testimony about this former powerful person in the Italian entertainment sector. De Crescenzo was very powerful at RAI, particularly when the broadcaster was controlled by the governing Christian Democrat party, which, in turn, was under the influence of the Vatican. With the 1975 reform, when RAI went from governmental control to parliamentary control, De Crescenzo lost some of his overall power, but maintained an outsider’s grip on the broadcaster’s first TV channel, RAI-1, which remained under the Vatican’s influence (at the time, it was reported, he exaggerated his level of authority, though). Meanwhile, RAI-2 went under the control of the Socialist party, and RAI-3 under Communist party control. In 1992, after serving as RAI’s director general (1961-1974), Bernabei (1921-2016) founded the production company Lux Vide, famous for Bible-inspired TV series. According to the MIA (Italian Audiovisual Market) website, the Lux Vide ownership includes the Vatican’s Science and Faith Foundation. The mythic Lew Grade — who started at birth in Ukraine as Lovat Winogradsky (1906), later becoming Louis Grad (1926) and finally Lew Grade in 1928 — founded two ITCs: The U.K. unit (called Incorporated Television Company) and the American branch (called the Independent Television Corporation). The U.K. ITC, founded in 1954, produced programs for ATV (which provided independent television service on weekends for the London region). The U.S. ITC was founded in 1958 in partnership with Hollywood producer Jack Wrather (he sold his share to Grade two years later). That same year, ITC acquired the New York-based Television Programs of America (TPA). 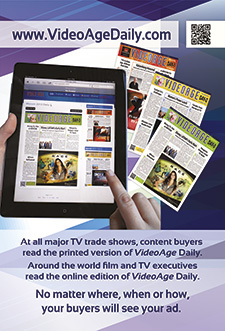 TPA distributed TV shows produced in-house and those produced both by the U.K.’s ITC and Wrather’s Wrather-Alvarez Broadcasting. The two ITCs distinguished themselves by the ITC logo that was shown horizontally in the U.S. and vertically in the U.K. Curiously, the logo of ITC Italiana was horizontal, like the one in the U.S. In 1982, Grade lost control of ACC (the U.K. parent company of ITC) to South African-born Australian corporate raider Robert Holmes á Court (1937-1990), who dismissed Grade and his entire staff. Earlier, Grade had allowed Holmes á Court to buy 51 percent of ACC voting shares. Recalled Ponzio: “After Lew Grade left ITC, De Crescenzo and I tried to remain [in a reduced role], but it was difficult to work with the new management and, in 1985, we both left ITC and formed World Television Associates, or WTA.” Their partner in WTA was Carlo Caracciolo (1925-2008) of L’Espresso (a weekly) and la Repubblica (a daily) publishing fame. Subsequently, Ponzio sold his shares in WTA to Berlusconi. Shortly thereafter, the company dissolved, but Ponzio was reluctant to explain why. At about that time, in 1987, Michael J. Solomon, then president of Los Angeles-based Lorimar (a position he took on in 1986 when Lorimar purchased Telepictures, a company that Solomon co-founded in 1978), asked Ponzio to start and manage Lorimar International Italia in Rome. Solomon, today serving as CEO of Los Angeles-based Digital Content International, first met Ponzio in 1984 when Solomon, then chairman of New York City-based Telepictures, went to Rome to sell the Italian TV rights for the miniseries A.D., which Ponzio later licensed to Canale 5 through his WTA. A.D. was a 12-part miniseries that Labella co-produced with Procter & Gamble and pre-sold to the U.S. TV network NBC. Solomon’s Telepictures acquired the international distribution rights. “I did the deal directly with Vincenzo,” recalled Solomon about the miniseries. “At [1984’s] MIP-TV, the promotion for A.D. was stupendous,” he boasted. And so, with A.D., Ponzio went back to sell another Labella-produced miniseries. When Warner Bros. acquired Lorimar in 1990, Ponzio’s Rome office became Warner Bros. International Television Italia, and Solomon became president of Warner Bros. International Television. Prior to Ponzio (who ran the Rome office as general manager), Warner Bros. TV’s content sales to Italy was handled directly from Burbank, California, by studio division president Charles D. McGregor (1927-2011), who had an output deal with Reteitalia and a unique relationship with Reteitalia’s Daniele Lorenzano. Reteitalia was established by Berlusconi in 1979 as an umbrella company that handled acquisitions, productions, and content sales. It dissolved in 2002 well after the group began operating as Mediaset. Even though Mediaset was founded by Berlusconi in 1987, it absorbed all Fininvest TV activities in 1993 when Mediaset was traded on the Milan Stock Exchange, with Fininvest as the largest shareholder (39.53 percent). Fininvest was the company that Berlusconi used to create Canale 5 in 1980 and to acquire Italia 1 in 1982 and Rete 4 in 1984. When Solomon replaced McGregor as president of the Warner Bros. TV division, Ponzio could begin establishing relationships with both RAI and Reteitalia/Mediaset. With Solomon retiring from Warner Bros. and starting his own company in 1995, Ponzio continued under new Warner Bros. TV president, Jeff Schlesinger. That lasted up until Ponzio’s own retirement in May of 2008, when the Rome office came under the management of his number two, Domizia De Rosa. Ponzio explained that another of his challenges was to please his Italian clients, who were fierce competitors. “But I was fair and honest with them, suggesting only product that could bring them ratings,” he said. Ponzio’s career thrived when Berlusconi first launched private television networks in Italy (and in Europe) in the late 1970s, but it was hindered when Berlusconi became Italy’s Prime Minister for the second time (2001-2006) and RAI and Mediaset reportedly stopped competing. The Italian crisis for the U.S. studios began in 2002 with Berlusconi’s government, as described in the 2005 book Inciucio by Peter Gomez and Marco Travaglio. The book reported the August 13, 2002 exchanges between Paramount’s Italian offices with its Hollywood headquarters, where the fact that RAI and Mediaset were jointly intent on lowering both the license fees and volume of U.S. studio content imports was supposedly openly discussed. The book also reported that the Italian representatives of three U.S. studios met for breakfast in Rome to discuss Italy’s license fee problems. The crisis, however, did not cause Ponzio too many sleepless nights. And about Warner Bros. in Rome: “His office was in a nice residential neighborhood, not in an office building or in a business area. Very much Rosario,” added Friscia.